We have an eminent name for offering a vast array of Printed Jute Tote Bag. This product is manufactured using only quality tested materials. Tunnel loop bags are excellent for ease of and manipulating the FIBCs with a fork-lif. This design is available with all Sewing Pattern, Inlet/Outlet Design & Closures as well as all the options. 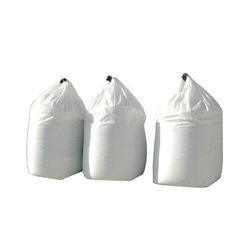 Capitalizing on the capability of our diligent and highly expert professionals, we are keenly immersed in presenting an inclusive Non Woven Loop Handle Bag. 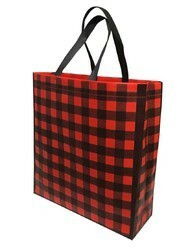 Big Bags made from Tubular fabric with cross corner loops come as various variants and capacity from 500 Kilo to 2000 Kilo.